2. For the purpose of the DPA and GDPR we are the data controller and any enquiry regarding the collection or processing of your data should be addressed to Mark Simmonds at our address Acorn Barn, Ladywood, Droitwich, Worcestershire, WR9 0AJ. 6. Your payment information (e.g. credit card details) provided when you make a purchase from our website is not received or stored by us. That information is processed securely and privately by the third party payment processors that we use. 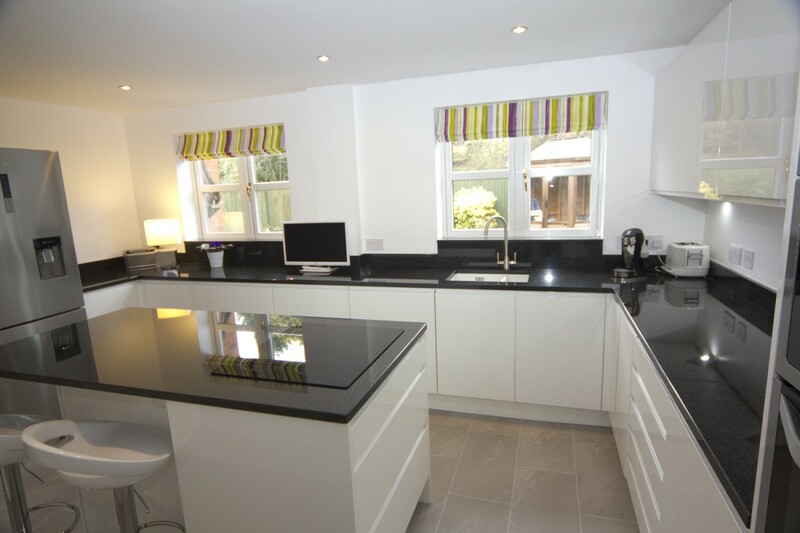 Diamond Kitchens Droitwich will not have access to that information at any time. We may share your personal data with our payment processors, but only for the purpose of completing the relevant payment transaction. Such payment processors are banned from using your personal data, except to provide these necessary payment services to us, and they are required to maintain the confidentiality of your personal data and payment information. 11. If you do not want us to use your data for our [or third parties'] use, you will have the opportunity to withhold your consent to this when you provide your details to us on the form on which we collect your data, or you can do so by writing to us at the address detailed in clause 2, or sending us an email to gjbullet@gmail.com at any time. 13. If you have given us consent to use your data for a particular purpose you can revoke or vary that consent at any time. If you do not want us to use your data or want to vary the consent that you have provided you can write to us at the address detailed in clause 2 or email us at gjbullet@gmail.com at any time. 19. You have the right to opt out of our processing your personal data for marketing purposes by contacting us at gjbullet@gmail.com. Most of the cookies expire 10 years after your last visit to a page containing a Google Map. Google set a number of cookies on any page that includes a Google Map. Diamond Kitchens Droitwich has no control over the cookies set by Google, they appear to include a mixture of pieces of information to measure the number and behavior of Google Maps users. Most of the cookies expire 10 years after your last visit to a page containing a Youtube video, although some expire sooner. Google set a number of cookies on any page that includes a Youtube video. Diamond Kitchens Droitwich has no control over the cookies set by Google, they appear to include a mixture of pieces of information to measure the number and behaviour of Youtube users, including information that links your visits to our website with your Google account if you are signed in to one. Information about your use of our website, including your IP address, may be transmitted to Google and stored on servers in the United States.This cookie does not identify you personally unless you are logged into Google, in which case it is linked to your Google account. 24. The DPA and GDPR give you the right to access information held about you by us. Please write to us or contact us by email if you wish to request confirmation of what personal information we hold relating to you. You can write to us at the address detailed in clause 2, above, or by email to gjbullet@gmail.com. There is no charge for requesting that we provide you with details of the personal data that we hold. We will provide this information within one month of your requesting the data. 25. You have the right to change the permissions that you have given us in relation to how we may use your data. You also have the right to request that we cease using your data or that we delete all personal data records that we hold relating to you. You can exercise these rights at any time by writing to us at the address detailed in clause 2, above, or by email to gjbullet@gmail.com.